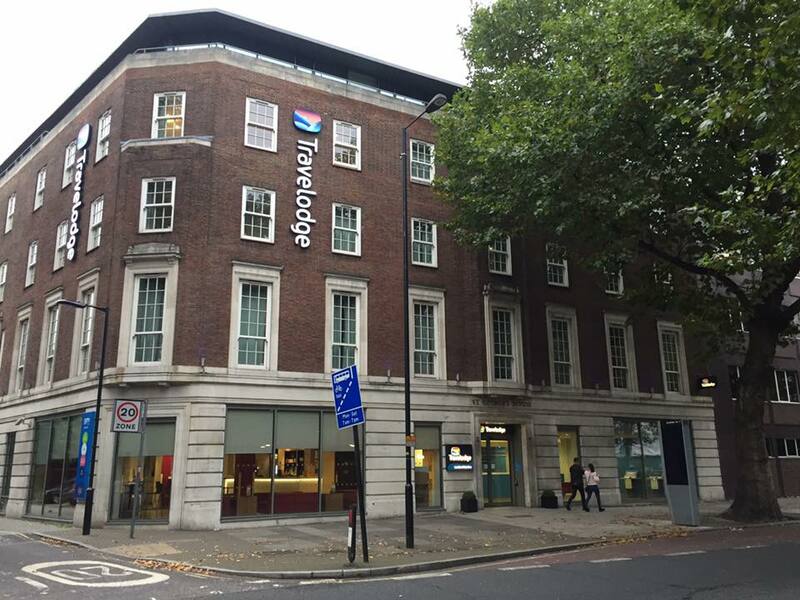 Tilly's Travelling Telegram: What Are The Super Rooms Like At Travelodge? 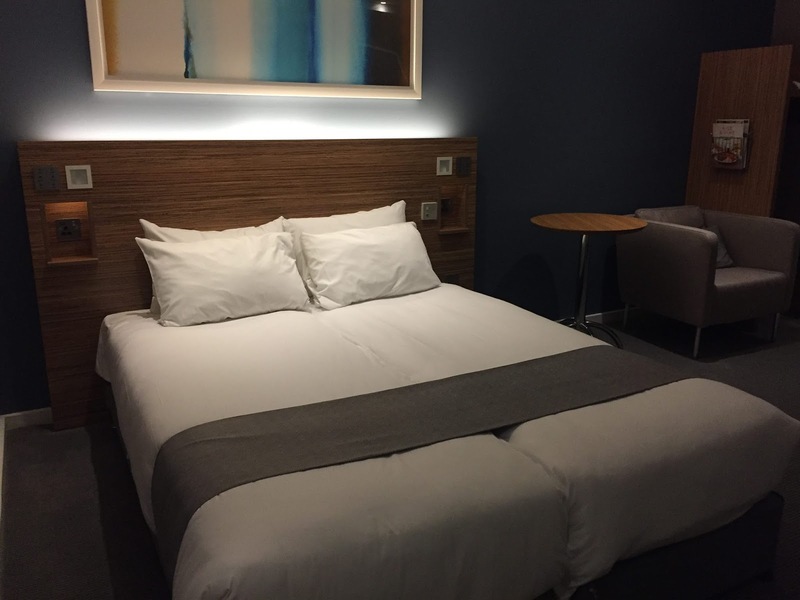 Recently I got the opportunity to stay in a Super Room from Travelodge in London Central Waterloo, On entering the room, we were amazed at the size of the room because it was absolutely huge! It was smart - executive looking and offered everything that you could possibly need if you are away for a business trip. 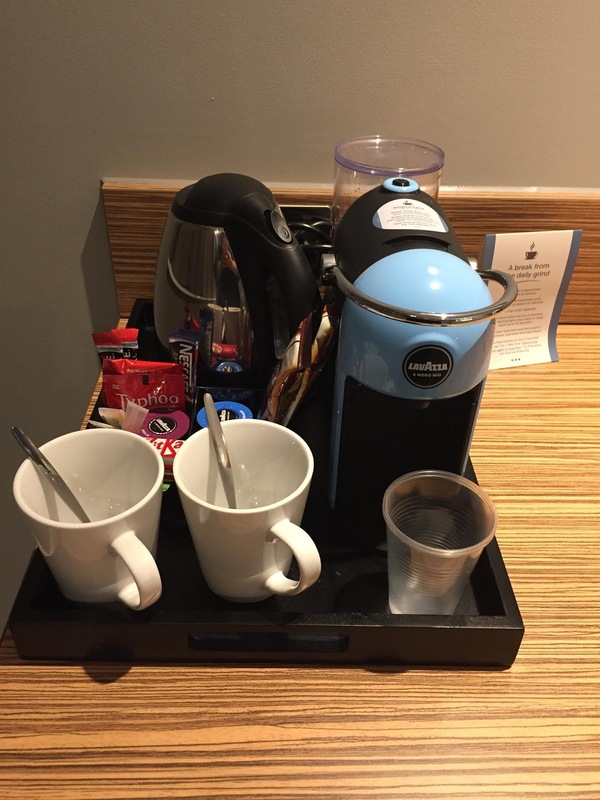 There is an ironing board to iron your power clothes and the coffee machine means you can make sure you wake up for your meetings properly. 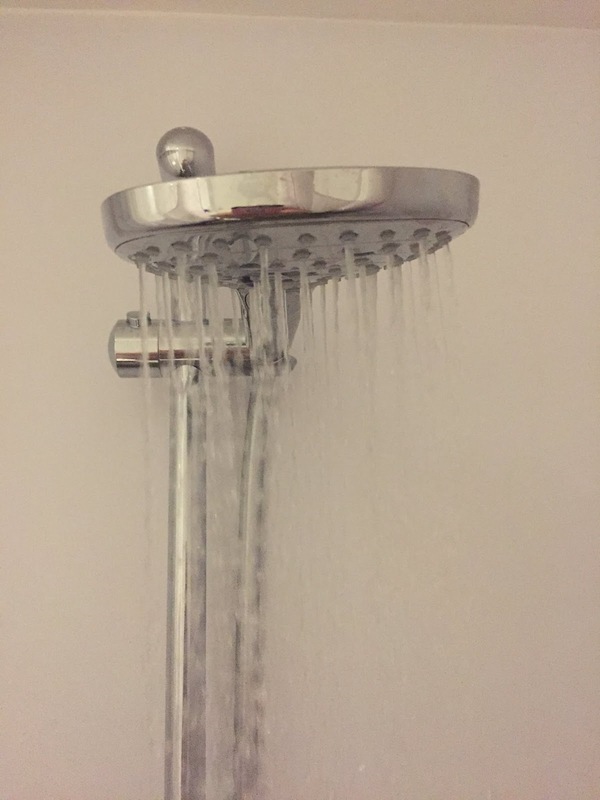 The shower was amazing! It was a walk in shower (we may have had a disabled friendly room) and the shower was a 3 jet adjustable power shower - it was so refreshing in the morning. The bed was HUGE! It was comfortable and I liked the choice in pillows that we had. The mattress was firm enough and I usually struggle to sleep when I am away from home, but I actually slept like a baby - I could have slept for longer. The lighting is just amazing! 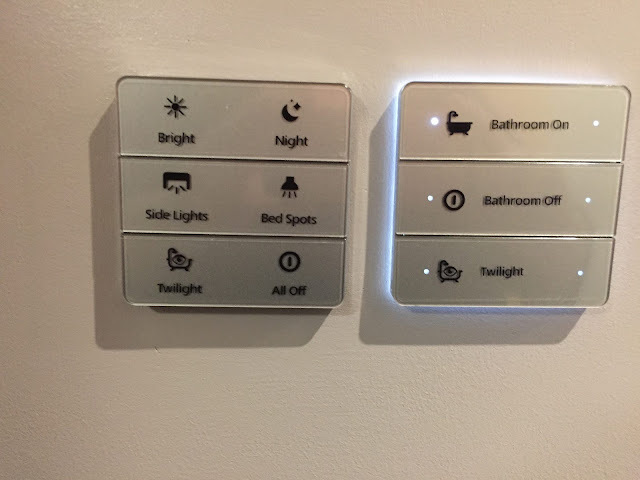 there are no light switches and instead, there is a panel that you lightly touch to get the appropriate lighting for your mood. The mood lighting means you can relax in the room and that eventually leads to a better night sleep because it helps to close your mind down. There are blackout blinds at the window to help you to get a good night sleep too and the Super Rooms are placed on a quieter floor. 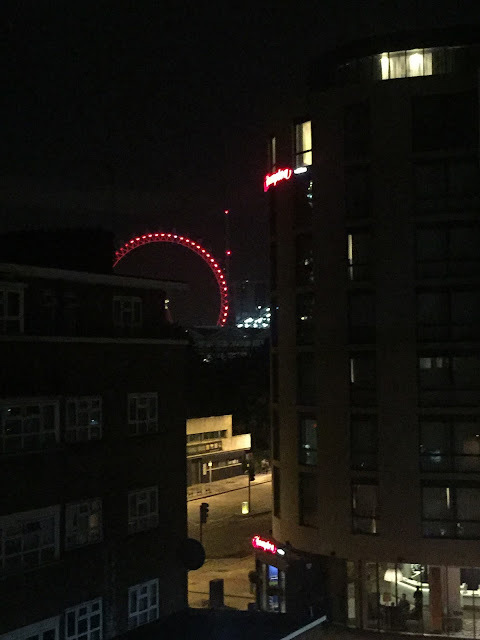 The room that we were in had a nice view of the London Eye. 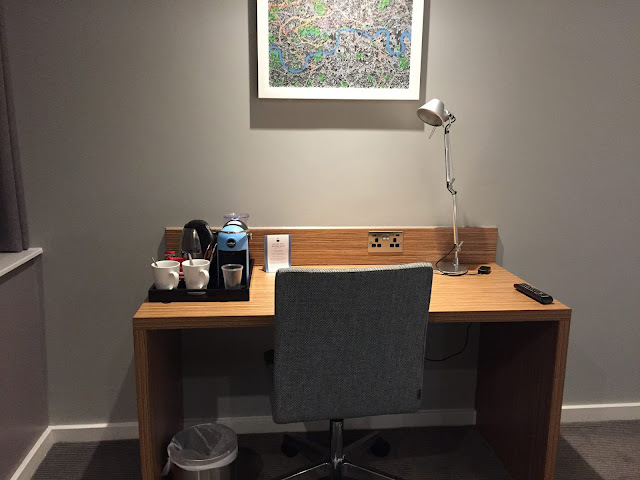 There were plenty of wall sockets to plug laptops and phones and devices in to, next to the bed there were also USB plugs to charge your phone up next to your bed, there is nothing worse than charging your phone overnight and having to plug it in halfway across the room. 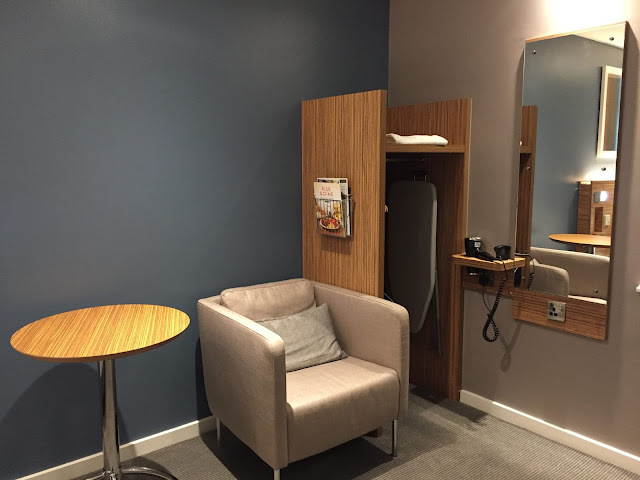 The Super Rooms are available at a few Travelodges and they are being rolled out into more all of the time. 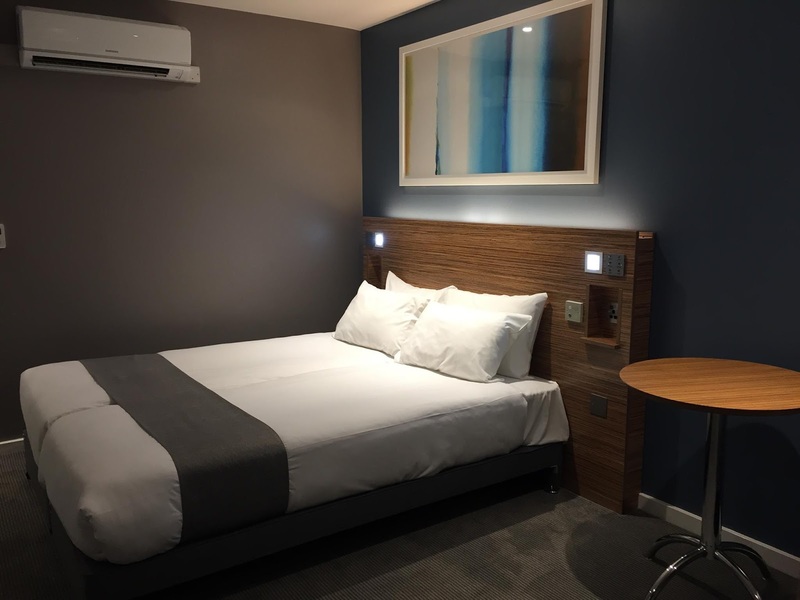 They cost only a few pounds more than a normal room and to me, it is worth all of the money because you are getting a premium room for a good value price. I slept well and felt like I was staying in a luxury room. I would definitely recommend the Super Rooms to people in the future. You can find more details here and prices vary from hotel to hotel.